Customer Service is our Priority at LoneStar Vacuum. At Lone Star Vacuum, we are experts in vacuum sales, services, repairs, and parts for most makes and models. Lone Star Vacuum has been serving the Grapevine and Hurst areas for decades, and now we have a location in Plano Frisco. We still love to help our customers find the parts they need, maintain their investment for the long haul, and get an old motor running like new again. Lone Star Vacuum services, sells, and stocks parts for a wide variety of vacuum brands. Unfortunately, vacuum parts don’t last forever, but when your vacuum needs a new part or accessory, you’ll find everything you need here. 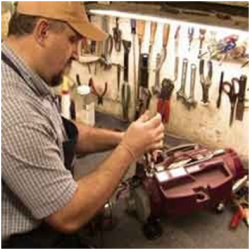 With our vacuum repairs and service, we can help you fix a wide variety of makes and models. To ensure your satisfaction, we offer services and warranties on all our products. Stop by one of our locations today to get the vacuum repair and service you deserve!